75 min Ocean Safari that departs from Christmas Cove Marina, Penneshaw. 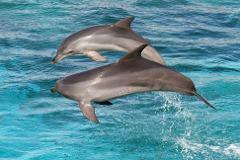 Travel along stunning ancient coastline with the opportunity to see dolphins, seals, eagles and birdlife. The skipper will provide informative commentary. 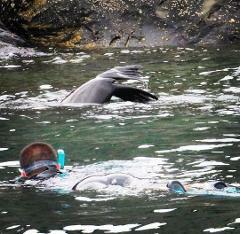 2 Hour Swim with Dolphin / Seal & Coastal Snorkelling Safari departs from Christmas Cove Marina, Penneshaw. Have the opportunity to swim with wild dolphins or among seals and snorkel some of KI’s beautiful coastline.